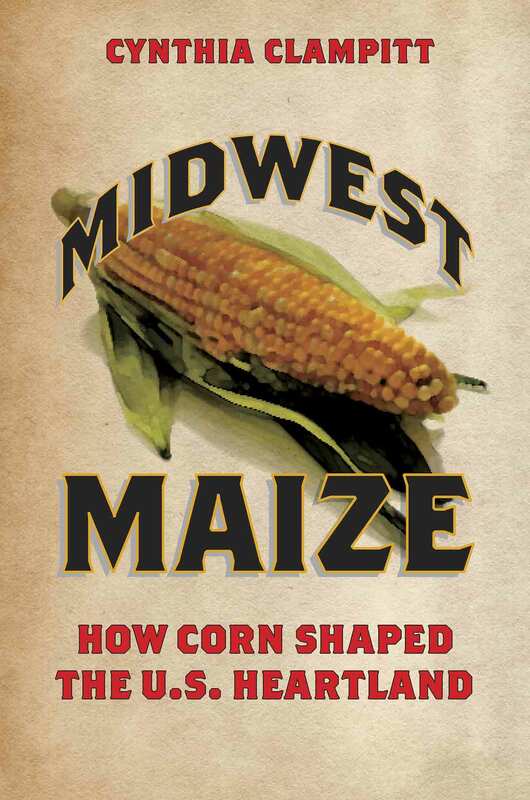 I’m happy to relate that my book, Midwest Maize: How Corn Shaped the U.S. Heartland, has been listed as one of the 9 best nonfiction books of 2015 by the Chicago Book Review. I write to connect with people, as well as to inform, and I am delighted by the realization that the book is connecting with some. If you’re interested in the list, you can find it here: Chicago Book Review Best of 2015. My research for Midwest Maize involved a lot of reading, but it also involved a lot of visiting places important to corn. My first “corn trip” started with a visit to Bloomington, Illinois. Iowa grows more corn than any other state, but McLean County, Illinois, grows more corn than any other single county in the United States, and Bloomington is the county seat for McLean. 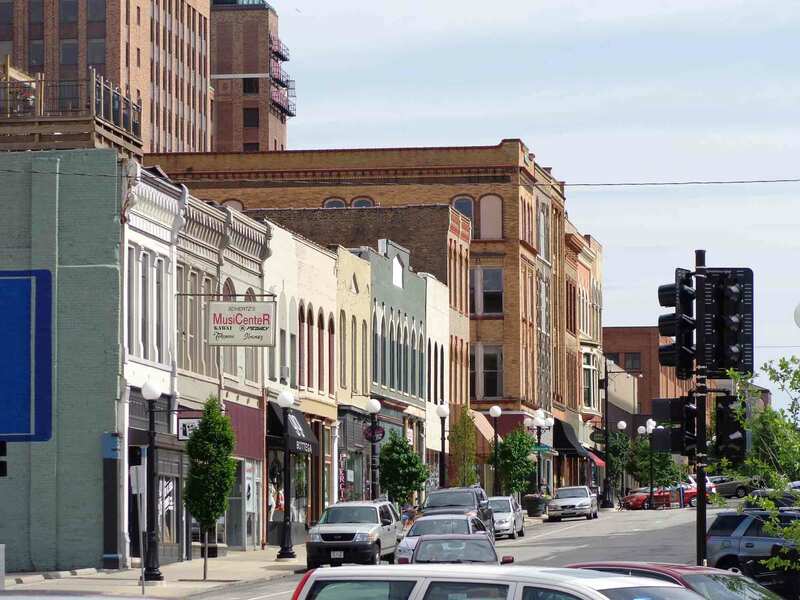 Bloomington is old for the Midwest, with the first settlers arriving in the 1820s. It’s a lovely place to visit, and a good base of operations for exploring both agricultural libraries and sites significant to the history of corn. 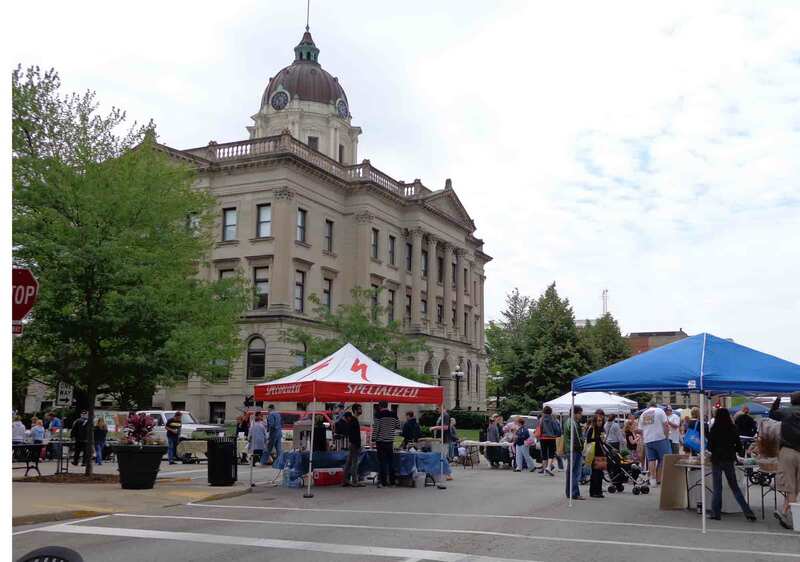 It is also the location of the McLean County Museum of History, which is housed in the old County Courthouse. The museum holds not only displays of the area’s past but is also home to splendid archives for anyone doing research on the early history of the Midwest. I spent several days immersed in the fascinating memorabilia and documents of an earlier age, from transcribed interviews to collections of letters. It was a splendid start to my research. My first day in Bloomington, I discovered that the local farmers’ market is quite appropriately located in the streets and parkland that surround the museum—so I could pass through current farmers on my way to study their forebears. It pleased me greatly.